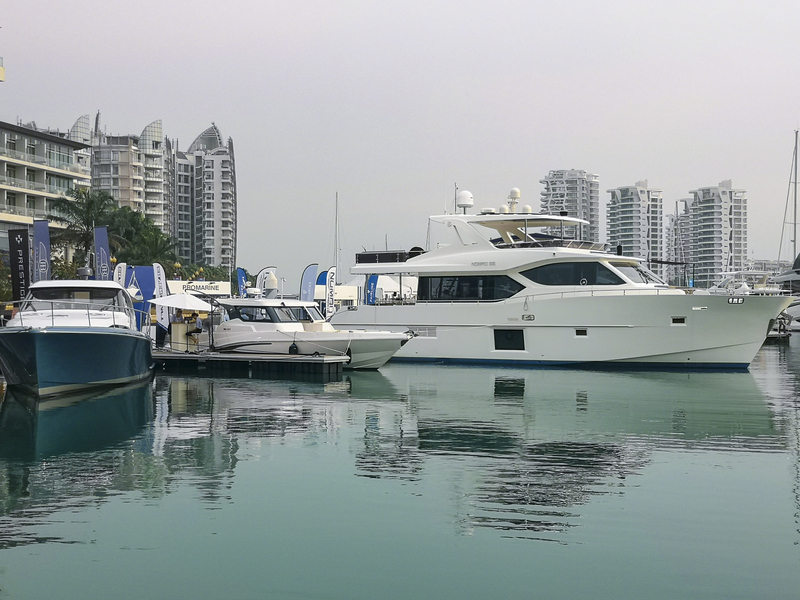 15 April, 2019 - Gulf Craft and ProMarine Yacht Sales, the company’s dealer in Singapore, has ended the Singapore Yacht Show on a positive note. This year, the event excelled in being an excellent platform to welcome all marine industry professionals as well as network with existing and prospect clients. 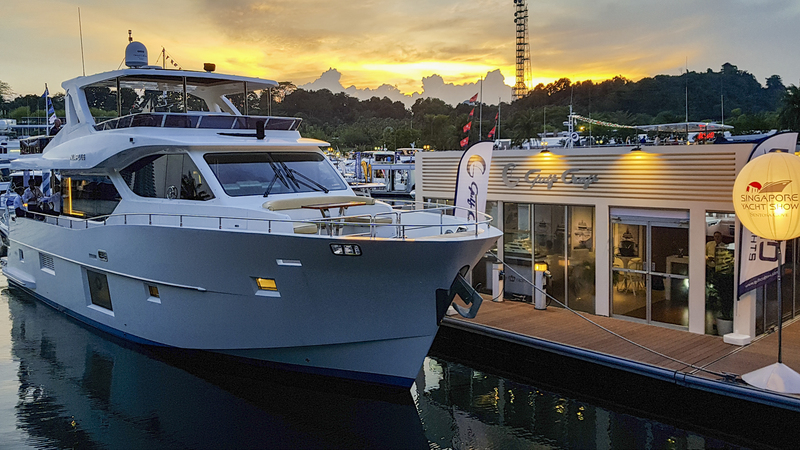 A major boat show in the yachting calendar, the Singapore Yacht Show has been one of Gulf Craft’s major event in South East Asia. This year marks the 9th edition of the show and Gulf Craft has been an exhibitor since inception. Just like all the previous editions, Gulf Craft will be displaying select models from its Nomad Yachts and Silvercraft brands. Our catamarans are back! This time, with two new versions, center console and hard top. Powered by twin outboard engines 300 hp each, make them the most desirable fishing boats. Building on the successful premieres of our next generation yachts & boats at the Dubai International Boat Show, Gulf craft had even more exciting time at 7th edition of the Kuwait Yacht Show 2019. 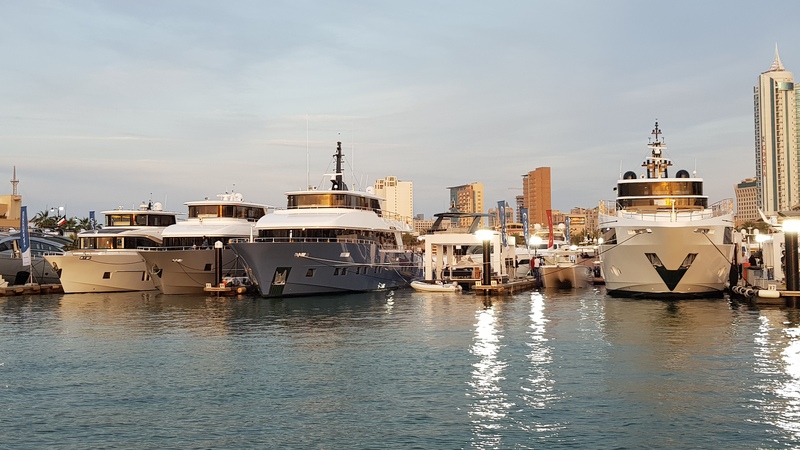 Our stars at this year’s boat show were three new models of Nomad Yachts SUV Collection, award-winning Majesty 100 & Majesty 48, the next generation of Oryx sport cruiser and the new SilverCat 34 fishing boat. Gulf Craft's presence, as one of the leading marine industry pioneers in the GCC, is perfectly represented at the 7th edition of Kuwait Yacht Show. The show played host to 7 of the most exciting yachts and boats that Gulf Craft has to offer under their Majesty Yachts, Nomad Yachts, Silvercraft and Oryx brands. The next generation of Oryx 379 debuted at this year’s Dubai International Boat Show, boasting a stunning new design by upcoming Emirati designer, Hussein Alshaali. Boat International Media, organizer of the prestigious World Superyacht Awards, has recently released the list of 2019 nominees. The list includes Gulf Craft's superyachts Majesty 140 M/Y C'est La Vie and Majesty 125 M/Y AltaVita. Gulf Craft's CEO, Gregory Yeakle , sat down with The Boat Show team for a n exclusive interview at the 2019 Dubai International Boat Show. One of the biggest surprises at this year's Dubai International Boat Show is the world premiere of the much-anticipated Oryx 379 sport cruiser. A step forward with a new brand DNA, the new 379 has been designed by the upcoming Emirati designer, Hussein M. AlShaali. The completely restyled chic 37-foot sport cruiser boasts an impressive use of space. It can sleep 4 guests in absolute comfort.